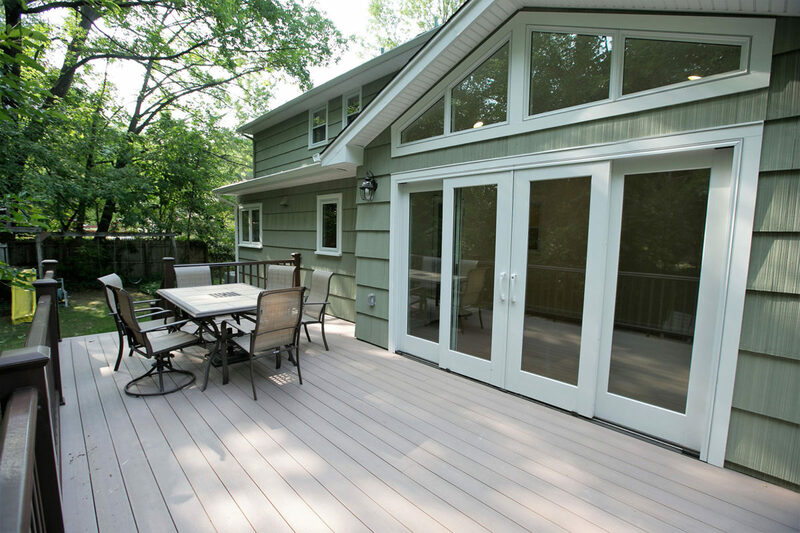 This project included an expanded kitchen addition, a massive sunroom addition, and a new deck. 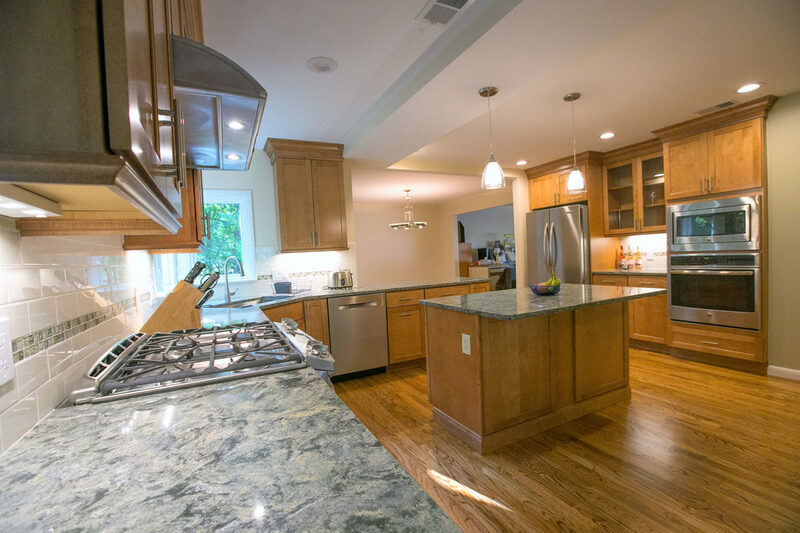 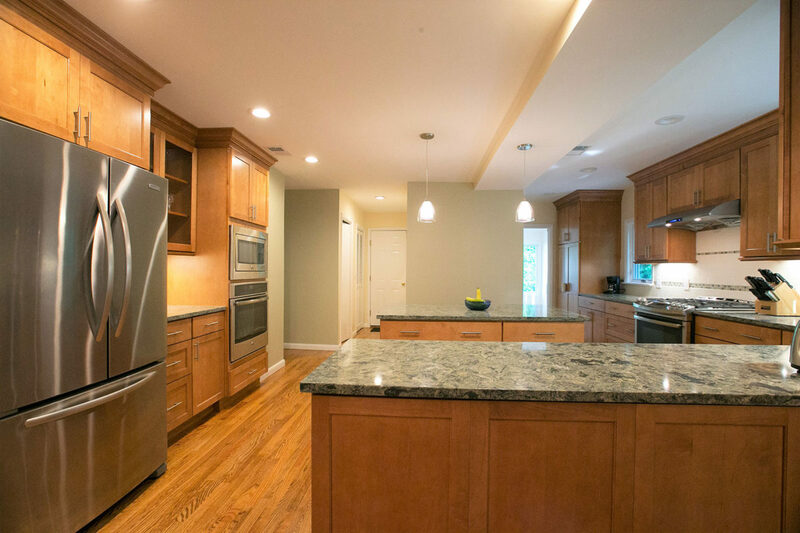 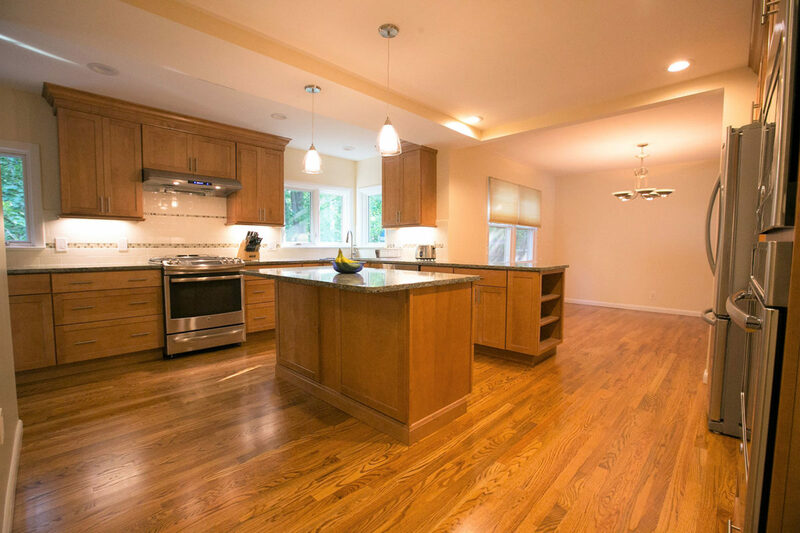 The kitchen features a large center island as well as a peninsula to provide a separation from the dining room in the newly-opened floor plan. 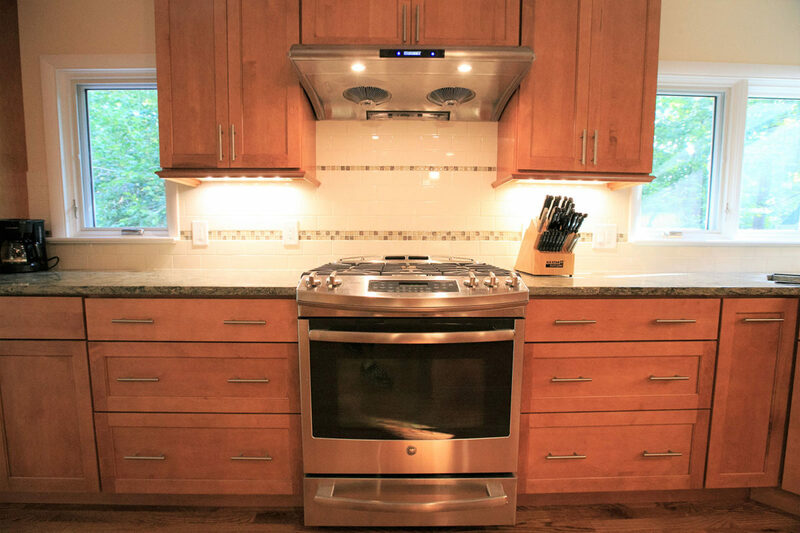 The custom tile backsplash is illuminated by under-cabinet LED lighting, standing out from the medium wood tone cabinets. 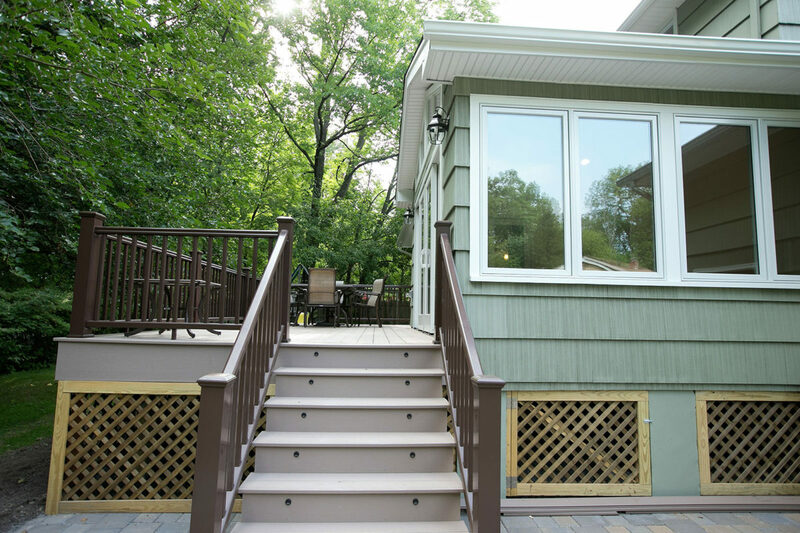 The corner sink is placed under a series of windows providing a view to the backyard. 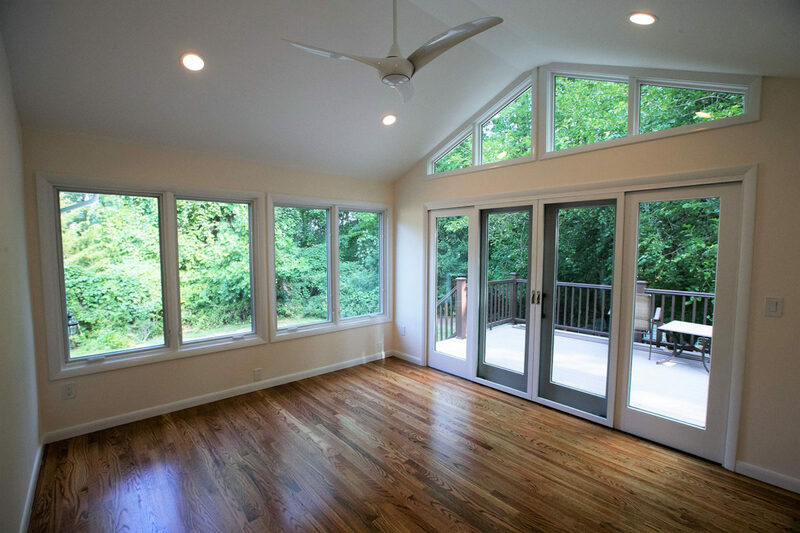 The breathtaking sunroom is dominated by the expansive windows mirroring the cathedral ceiling. 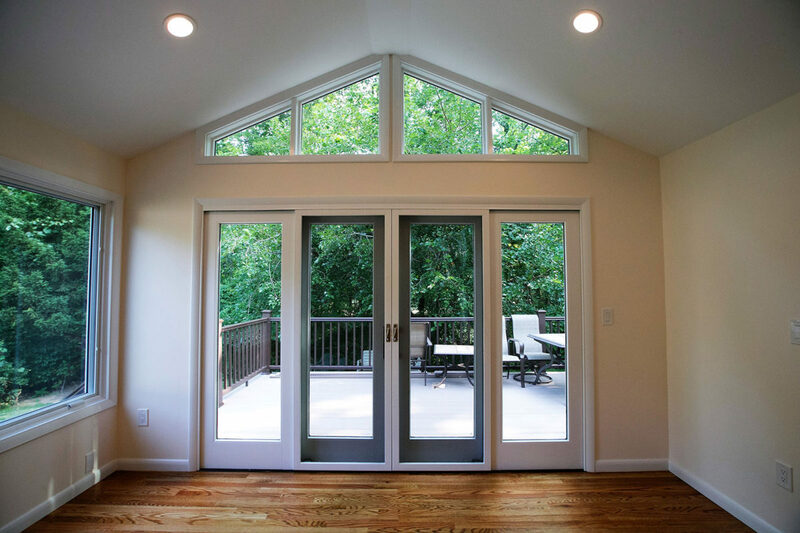 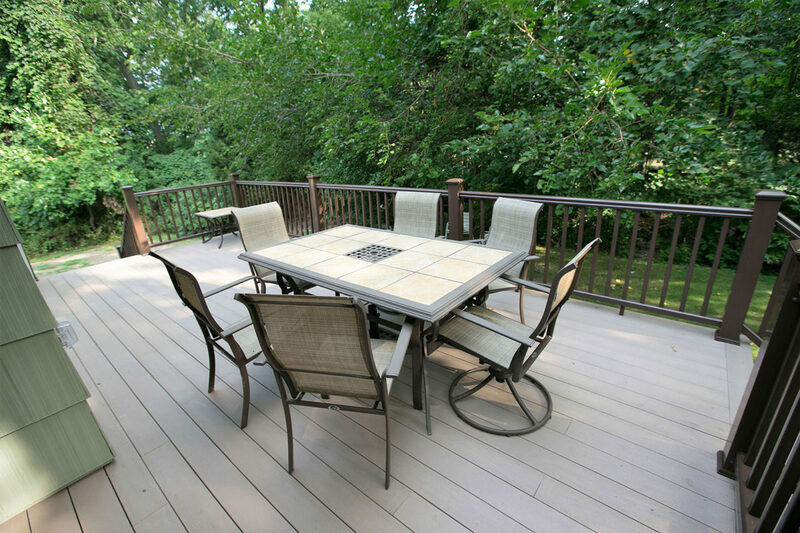 The French doors lead to the brand new deck with room for a dining set and more.